Now, I can make one of my favorite drinks almond milk at home because I have a new toy -Vitamix 5200 blender. 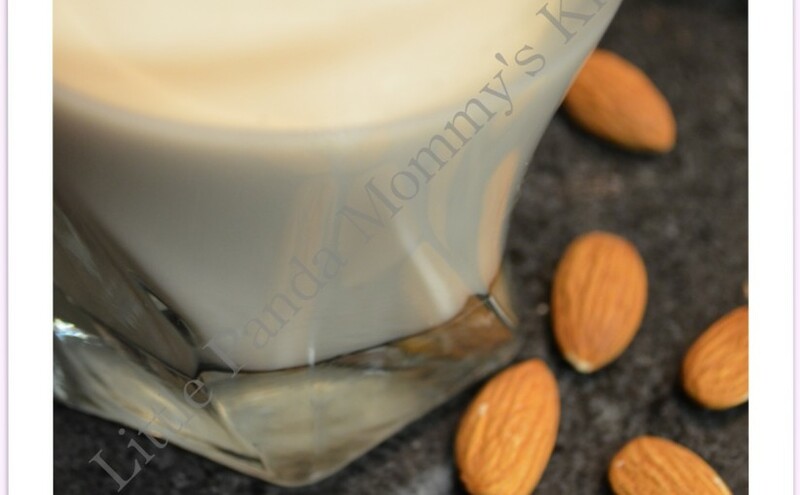 Almond milk is a healthy choice because it contains less calories and fat than milk but high in antioxidants and vitamins. Also, it is a good substitute for milk since it is lactose free. Thanks to my parent-in-law let me ground some sweet rice into rice flour with their Vitamix blender 2 weeks ago. My hubby watched me trying it out, teased me immediately by saying “We need to buy one, don’t we? I’d better start looking for deals now.” He said I was so impressed that my eyes were sparkling, which means the wife loving it. He knows me. Yes. 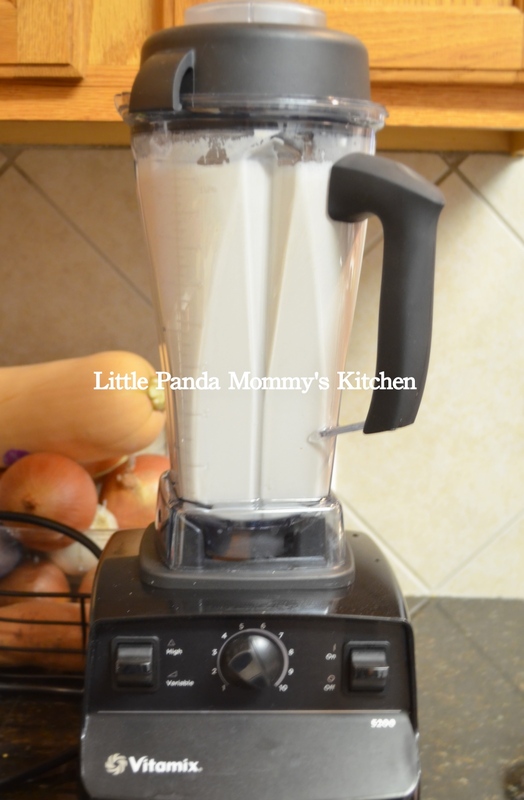 Vitamix is not a cheap machine. You can buy a lot of blenders for the same amount of money. Honestly, the first time I saw it on TV, I was joking with my husband “Why will anyone need a blender cost more than $4o0?” We both agreed our Kitchen Aid food processor have all the same functions and some more. Mother-in-law had the same opinion and teased me not to buy one (everyone knows I am a sucker for kitchen tools and gadgets, somehow I have a mini-gadgets warehouse in my kitchen). Jokes on us now. Dad bought the Vitamix because they needed a new blender. Then, I tried it and fell in love right away. We went to Costco the next day (it was too late, the store was closed) and bought it home to join my kitchen family. 1. 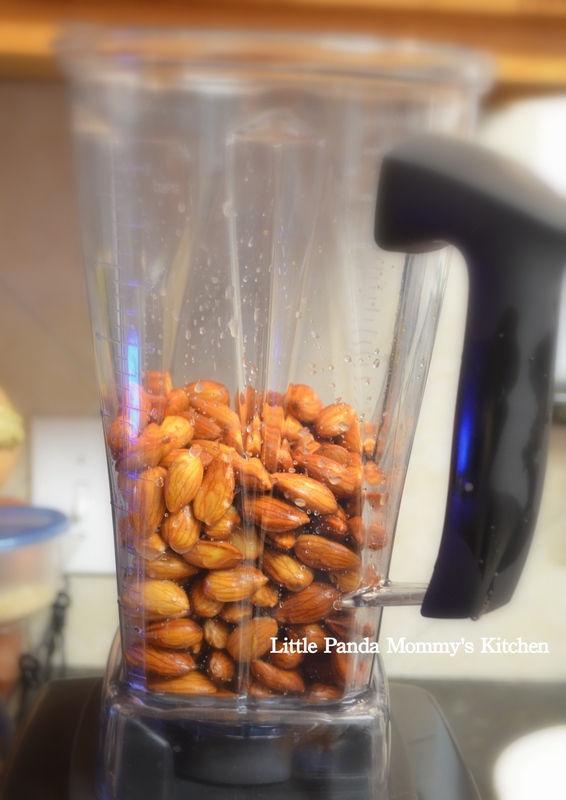 In a big bowl, add almonds and fill with water until waterline is 3 inches above almonds, soak overnight or up to 24 hours. 3. Turn on the blender, slowly increase the speed from 1 to 10, then switch on the high speed button. Use the tamper to help pushing almonds down if needed. Almond milk is ready to drink right after the filter process, you can also chill it before serving. Feel free to add it in a smoothie or milkshake instead of milk, it tastes just as good if not better. Enjoy. 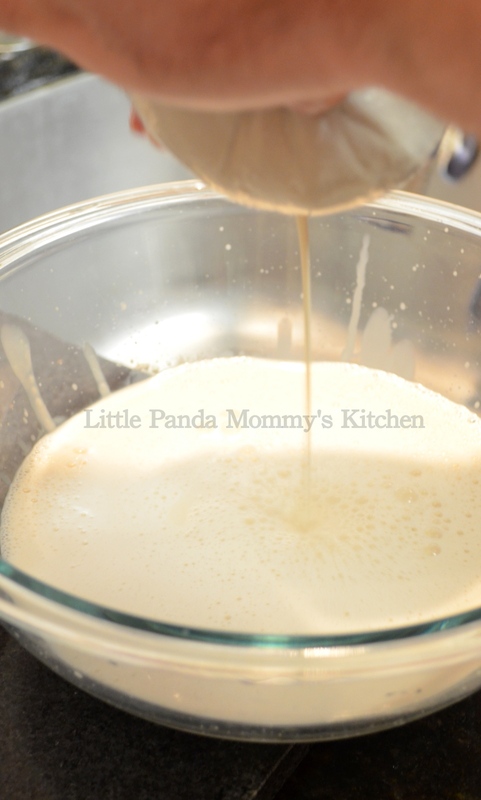 This entry was posted in Drink Recipes, Easy Cooking, Healthy Eat, No Cook Recipes, Vitamix Recipes and tagged Drink Recipes, Easy Cooking, Healthy Eat, Homemade Almond Milk Recipe, No Cook Recipes, Vitamix 5200, Vitamix Recipes on February 4, 2014 by littlepandamommy.